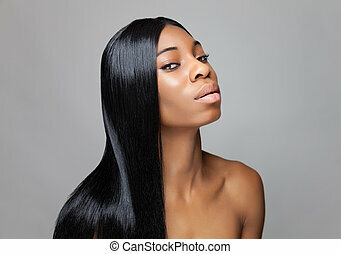 Black beauty with long hair. 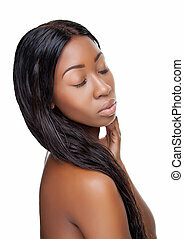 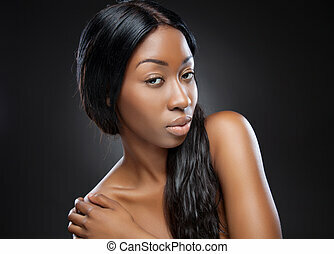 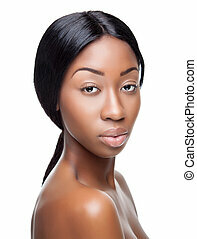 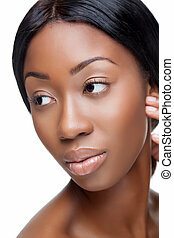 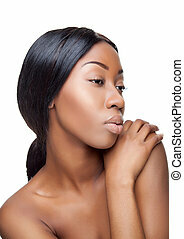 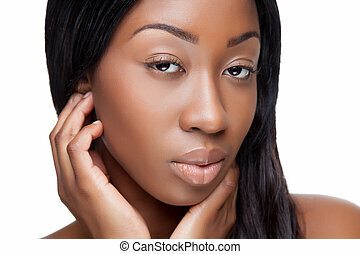 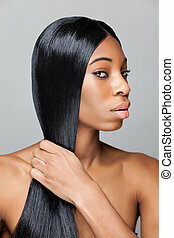 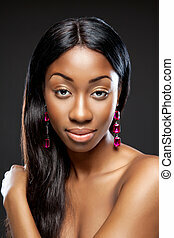 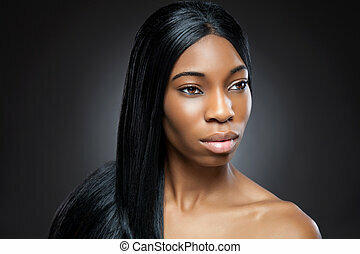 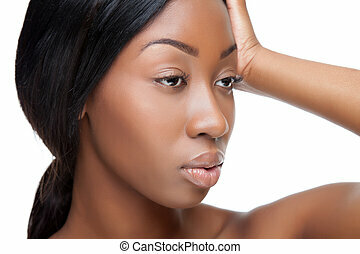 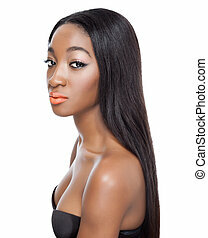 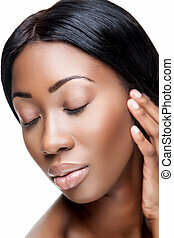 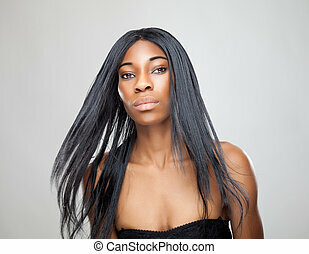 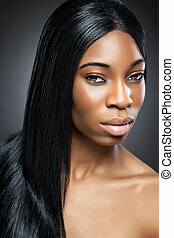 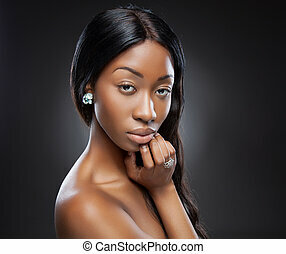 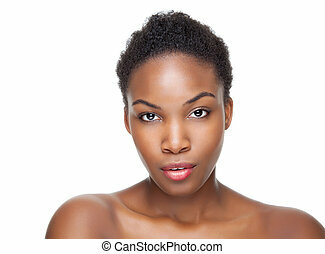 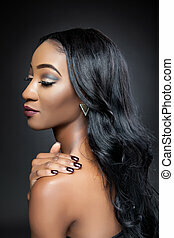 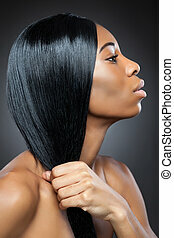 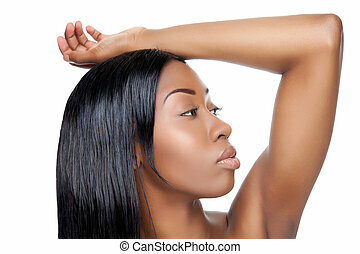 Black beauty with perfect skin and long hair. 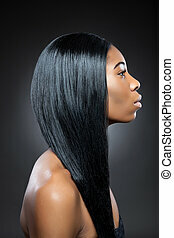 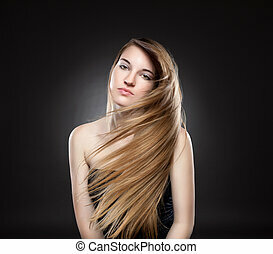 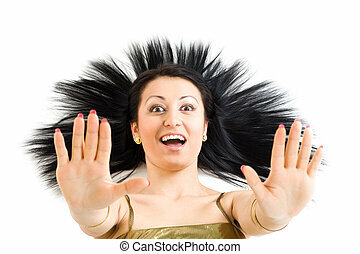 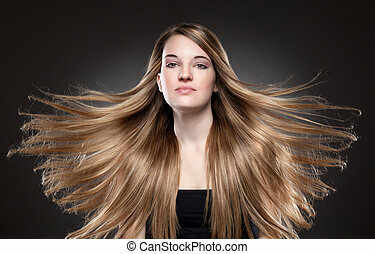 Model with long black hair.